If you’re looking to add to the warmth and beauty of your home, you can’t go wrong with installing hardwood flooring. 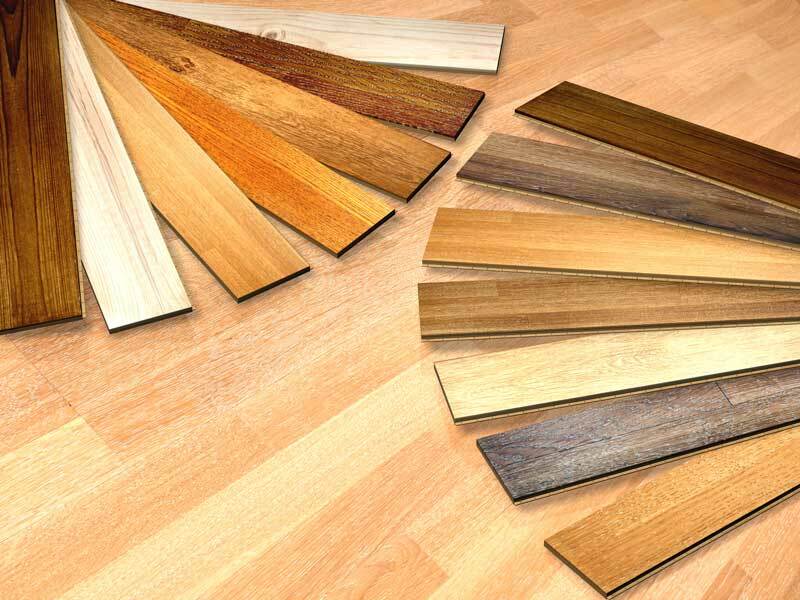 There are three options to choose from: solid hardwood, engineered wood, and laminate flooring. But which will work best for your home? Let’s shed light on all three types to help you choose the perfect one for your project. Just as the name suggests, this floor consists of real natural wood all the way through. It comes either prefinished or unfinished. Prefinished hardwood floors have already been sanded, stained, and coated with a protective finish at the factory. Thus, you can just install them as they are and walk on them immediately after installation. Alternatively, unfinished floors require sanding, staining and sealing onsite. Also, their usage must be limited until they’ve been sealed which will require at least 48 hours to dry. You can stain and seal unfinished hardwood floors however you like. Solid hardwood flooring can be refinished. Engineered Flooring usually consists of two layers of wood. The top layer is made from real wood, whereas the layer underneath consists of softer, less costly wood glued together to form a solid core. It is this core which makes engineered flooring better at standing up to changes in moisture than solid hardwood flooring. Some engineered floors have an extra layer at the bottom for additional moisture resistance and structural stability. Engineered wood can be refinished. Laminate Wood Flooring is largely comprised of fiberboard, which provides shock absorption and stability. The top layer of its fiberboard core is made up of a photographic image of wood covered with a transparent protective coating. This image closely resembles the look of an authentic hardwood floor. A melamine layer below the core provides additional extra moisture resistance and stability. Unlike solid hardwood and engineered hardwood floors, laminate floors can’t be refinished. Solid hardwood is vulnerable to fluctuations in humidity levels and temperature. As it expands and contracts in reaction to these changes, the boards can warp and even split. For that reason, it’s a great choice for virtually all rooms except those prone to high humidity and moisture such as basements or bathrooms. Engineered hardwood has more dimensional strength than solid hardwood, making it less susceptible to changes in temperature and moisture. You can install it in all levels of your home, including your finished basement and bathrooms. Laminate flooring holds up well in high-traffic areas and is ideal for a busy household. Its scratch-resistance makes it perfect for your home if you have pets or kids and are worried about them damaging your floors. It also works well in moist areas, unlike solid hardwood. Laminate is the easiest wood floor to install. It’s designed to be a floating floor, meaning you can install it over your existing floor provided it’s stable and level. By simply clicking together its interlocking sections, the laminate can be secured. Solid hardwood is the most difficult to install since it must be nailed or glued to to a wooden sub floor. It cannot be installed over your existing flooring nor directly on concrete. Installation of engineered hardwood floors can be completed over your existing floor, just like laminate, or it may need to be nailed or glued down depending on the wood variety. Whether you have already decided on the perfect new flooring for your home or still debating about the perfect fit, Elegant Floors can help. For more than 20 years, we’ve been the South Bay Area leader in hardwood floors installation, refinishing, repair, and sales. Contact us at either 650-961-1339 or 408-773-8624, and we’ll be happy to invite you to our showroom or come to you with a range of samples. We will help you weigh the pros and cons of each flooring type, enabling you to make the right choice for your home.